The Attorney General’s Office released a one-page flyer to inform Washingtonians about the law regarding service animals. The flyer, available in both English and Spanish, sets out the rights of and responsibilities for both handlers and businesses in Washington. 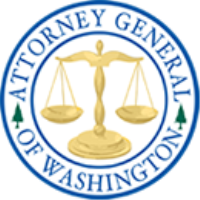 Busiensses, organizations and individuals can download a copyof the from the Attorney General’s Office website at: https://www.atg.wa.gov/publications (under the Civil Rights tab).